The Piccoli Passi association was founded by a group of friends operating as volunteers in the Parish of Nostra Signora di Coromoto, located in the XVI Municipality of Rome, in Monteverde area. Since 2005, the group started working in facility cares for minors in difficulty. 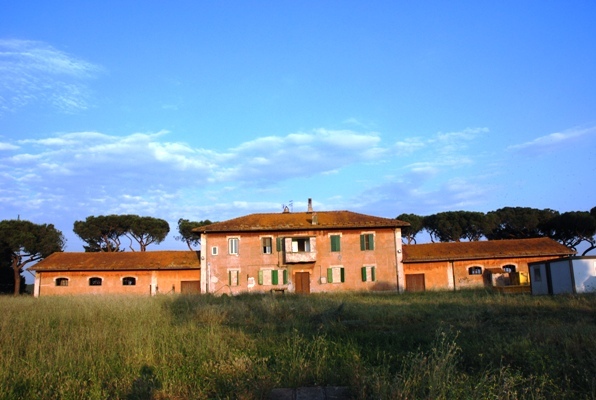 In 2006 the "Fondazione Pulcini" granted the association the use of two large country houses located in the XIII Municipality of Rome (Acilia area), with their respective 60 hectares of land, to create a facility care for minors. As required by law 43/01 of Lazio Region, facilities that accommodate minors who have been temporarily or permanently removed from their families by the juvenile court, must be organized along the lines of civilian homes recreating the familiar atmosphere. The need of facilities to host minors, and in particular mothers with their children, has increased in spite of the efforts of social services and non-profit associations to encourage foster care, in accordance with law 184/83 and its subsequent 2001 amendment, which state that "the child temporarily without a suitable family environment must be taken by a family, or a single person, able to assure its maintenance, education, and the relationships it requires. Where it is not possible, the child must be placed in a family-home or, failing that, in an institution of public or private assistance. For children under six years the insertion can only occur in a family-home". As pointed out by the last Report on the conditions of children and adolescents, issued on March 2006, is difficult to clearly outline the minors' situation, since there is a severe lack of information on this matter. For this reason, there are no exact data on how many minors are correctly followed by the social, medical and legal services in their path of removal from their birth family. Some interesting data are provided by juvenile courts, which point out a steady growth of measures disciplining the parental right and an evolution of the child deviance. Some critical aspects of the reality of children in difficulty can be detected through the evolution of some phenomenon such as the trend of loss of family identity; the mistreatment and abuses on children, which are carried out mainly by the family; the exploitation of children for crimes; the difficulty of families in handling adolescent problems; the multi-ethnic evolution of society. To understand the severe lack of facilities for hosting minors, it should be considered that in the XIII Municipality of Rome, which count 200.000 inhabitants, there are only two facilities able to host minors; one can host eight girls and it's run by a religious order, the other one can host up to eight children (male and female) aged between six and thirteen years and it's run by a cooperative. There are also two facilities for mothers with children run by a religious institution. These resources are insufficient to meet the needs of the territory, considering that there are no facilities for adolescent males. 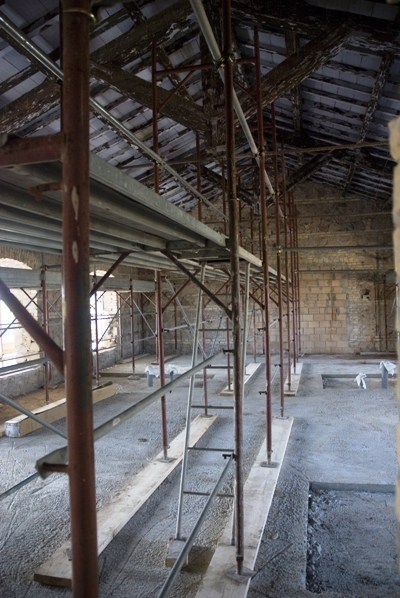 This project involves the renovation of the building donated to "Piccoli Passi" by "Fondazione Pulcini", to be used as facility care for minors in difficulty. The organization Piccoli Passi onlus has been considered eligible for this project because of its educational team consisting of psychologists and professional educators. Furthermore, the facility will provide legal and medical assistance to minors, which are going to be monitored in their daily life by the organization's experts. 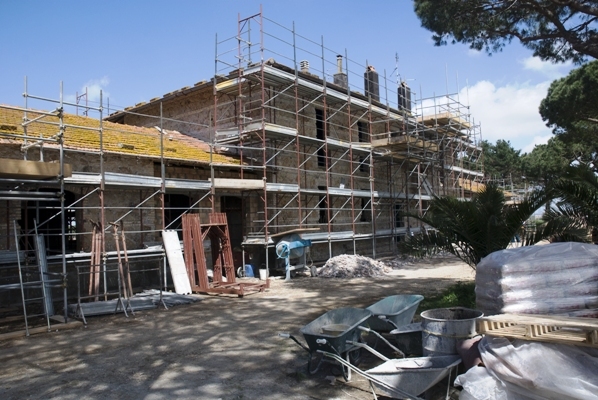 The project cofunded by the Nando Peretti Foundation involves the renovation of the building, donated by "Fondazione Pulcini" with the right of thirty years usufruct, in order to construct flats suited to host minors in difficulty, with the aim of reunify them with their birth family, place them for adoption or assign them in foster care. In case none of the previous options materialize, the organization will help the minors to reach the autonomy before they become 18 years old. The renovation has already started and it must be finished within 2009, in order to welcome the first 23 children at the beginning of 2010. According to the Italian legislation on non-profit organizations, if the structure begins to work within two years from the donation, it will benefit from an almost total exemption from the tax registry of the usufruct contract. The project was scheduled to meet this important deadline. Unfortunately the severe flood of winter 2008 caused serious problems and damages throughout the area of Rome, including the warehouses of Idrogross, the main donor of construction materials and equipments to the association. The building didn't suffer severe damages from the flood, but the construction materials already donated to the association has been partly destroyed. - Help the minor to reach his autonomy before he becomes of age, in case none of the previous options has materialized. Since the building is surrounded by 60 hectares land, it would be also possible, in particular for adolescents, to initiate specific projects and educational activities such as animal-assisted therapy (AAT) and children's farm.